Freebies: Get a FREE Sony PSP! Freebiejeebies is a site that allows you to sign up for a single offer, refer others to offers and get free electronics. It has been tested and reviewed by many people online (you just Google it if you want to know its true or not). The biggest problem is that some people don’t follow directions, then they think they’ve been scammed. Nope. That's it, you will get free one. I am started to use the referral services offered by Freebiejeebies to receive free Sony PSP Slim and Lite. There are many gifts in Freebiejeebies, such as PlayStation's, Mac's, iPhone's, iPod's, Mobile Phones and many. 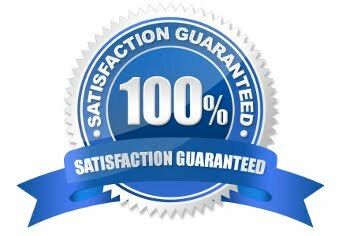 The process is incredibly simple and 100% legitimate. Freebiejeebies is affiliated with loads of well known companies from all around the world such as LoveFilm, NetFlix, HSBC, Gala Bingo, etc, and they use Royal Mail in the UK to send the free gifts. However, it is important to note that there are thousands of people worldwide taking advantage of these services to get free gifts. Why Freebie Jeebies can afford to send you the gifts? Freebiejeebies get paid by an affiliate network when people sign up to the sites on their offers list as you are a 'lead'. This means that potentially you could stay with their offer's site for the rest of your life. And Freebiejeebies will get paid approx £40 for each person that signs up to their site and when you refer 15 friends this means they are earning £600 from you and your friends. So how to get the gifts from Freebie Jeebies? I have put together this simple 5 step guide to explain everything. Don't worry, you have nothing to lose after you sign up so free. Sign up for a free account at Freebiejeebies and complete a free trial offers. You’ll get a referral link to send to your friends or you can put it at blog/twitter/facebook/forum/email, etc. When you login in the Freebiejeebies , select “My Status” to change your free gift which you want. For example, Nintendo Wii (9 referrals) or Apple Magic Mouse (3 referrals) or Sony Ericsson W880i (11 referrals). Once you reached the required amount of referrers, your account will be verified. Make sure that don't play and create different account for your own because Freebiejeebies can track your IP address, like Google adsense. Your gift will be sent via FREE shipping ~ once everything is cleared. 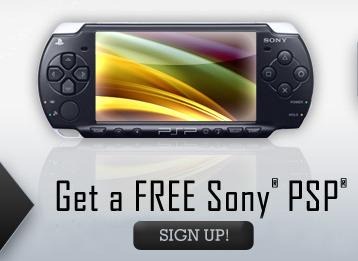 Get a free Sony PSP when you and your friends register now!